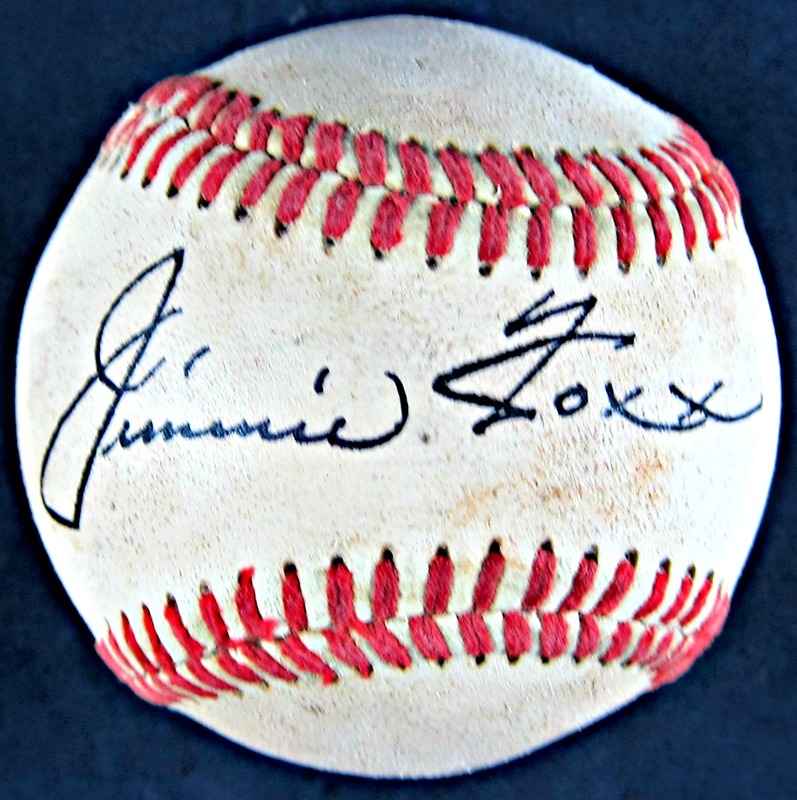 This red-stitched baseball comes signed on the sweet spot by the two-time World Series Champion and National Baseball Hall of Fame member, Jimmie Foxx. The ball includes a letter of authenticity from Joe DiMaggio Estate. James Emory Foxx (October 22, 1907 – July 21, 1967), nicknamed “Double X” and “The Beast”, was an American baseball first baseman who played 20 seasons in Major League Baseball (MLB) for the Philadelphia Athletics, Boston Red Sox, Chicago Cubs, and Philadelphia Phillies. His most productive years were with the Philadelphia Athletics and the Boston Red Sox, where he hit 30 or more home runs in 12 consecutive seasons and drove in more than 100 runs for 13 consecutive years.